I've just bought a ukulele last week because I got this sudden urge to learn to play an instrument. I thought guitars were to complicated for me because there's too many strings, and pianos have too many keys. But that's just me. So I opted for a ukulele because it is associated with 'fun' and Hawaii, which I think is a really nice place (even though I've never been there) and it has 4 strings! My son has started becoming interested with it as well. And now my dilemma is he might start fiddling around with the pegs and I might lose the perfect tuning the shopkeeper made for the ukulele! 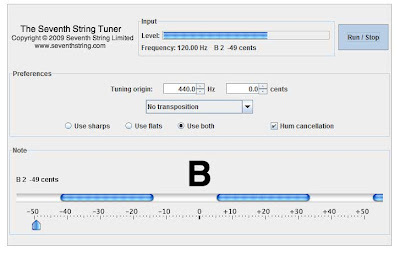 Therefore I need to have a tuner handy. Research had lead me to the term "chromatic tuner" but before I went off to buy one, I thought I'd search for a software equivalent. And there is! Presenting, the Chromatic Tuner from SeventhString.com. 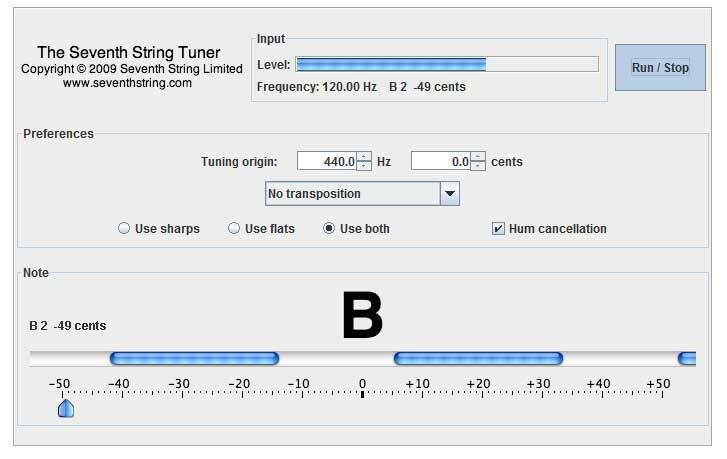 Quite handy for tuning your ukulele to G-C-E-A harmony.